Patrick Walden had a diverse and fulfilling life as a husband, father, son, scientist, and as an advocate for the importance of science and it’s role in combatting climate change. Patrick was born in Winnipeg, Manitoba and then spent his childhood years first in Saskatoon, Saskatchewan and then in Vancouver, British Columbia. During highschool he met his future beloved spouse Christine Marquis with whom he would be married for 52 years. Patrick’s love of physics took him to Caltech, California in 1966, where he earned his PhD in High Energy Physics. He remained in California with his spouse until 1974 working at SLAC, (Stanford Linear Accelerator Centre). 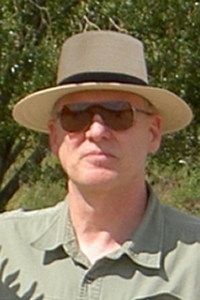 Patrick returned to Vancouver to work as a research scientist at TRUMF in July of 1974 where he stayed until he retired in 2010. Patrick remained active throughout his Emeritus appointment and in his last years, he was an active educator on the importance of the role of Nuclear Energy in helping to combat climate change. Patrick is survived by his loving spouse Christine Walden, his sons Jamie (wife Brandy Walden), Erek Walden, his grandchild Bella Walden, his three brothers Philip, Bob, and Trevor Walden and their families, and his extended family in Saskatoon and Victoria. A Celebration of Life will be held at 2:00 pm on Saturday, September 29, 2018 at Pacific Spirit United Church (Dunbar Ryerson), 3525 W 24th Ave, Vancouver, with Rev. Dr. Brian Thorpe, officiating.